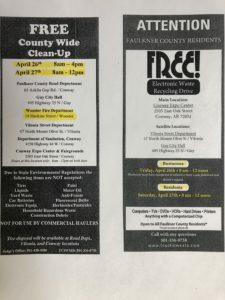 FREE ANNUAL SPRING CLEAN UP IN WOOSTER! This is the time where we can clean up our homes, our properties, and our neighborhoods at a cost that is affordable to us all…FREE AT NO CHARGE! 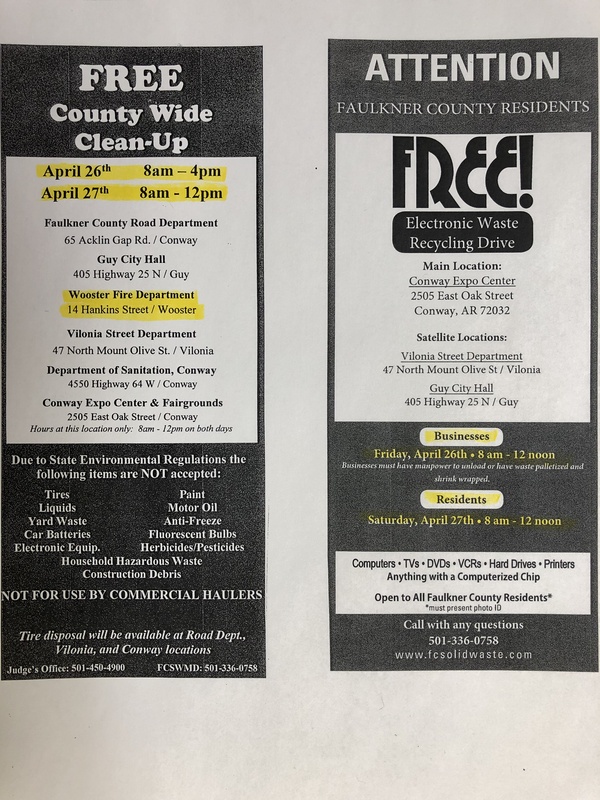 All you have to do is bring your items to the FCSW Dumpster which will be set at the Wooster Volunteer Fire Department located at 14 Hankins Street. 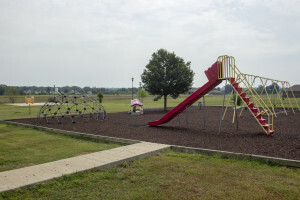 This opportunity is open to Faulkner County Residents Only. No commercial haulers will be allowed. Thank you & let’s keep our city and our county CLEAN!! !